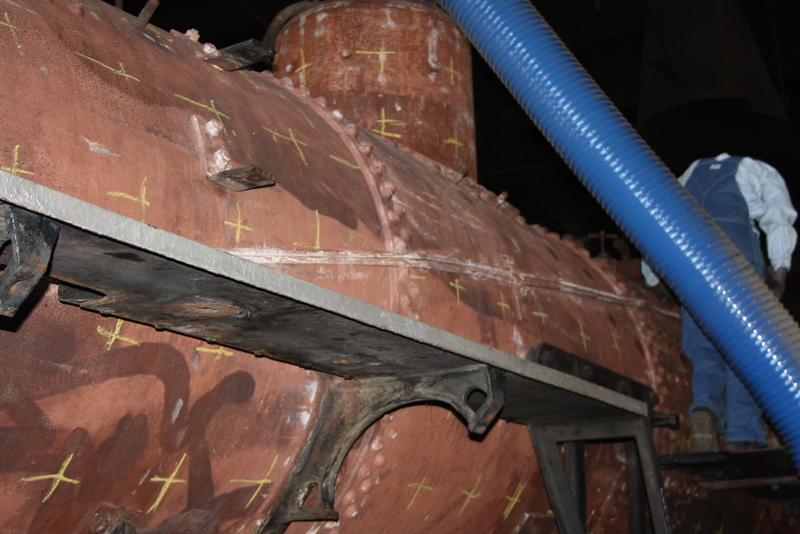 Grid marks are applied to the boiler in order to ensure all surface of the boiler is consistently tested. 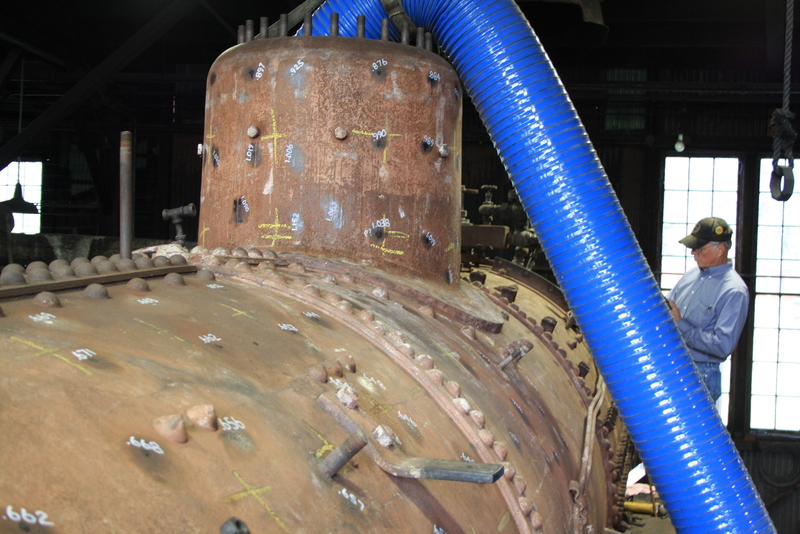 (The blue tubing is part of a ventilation system in the boiler for employee safety while working in the confined space). 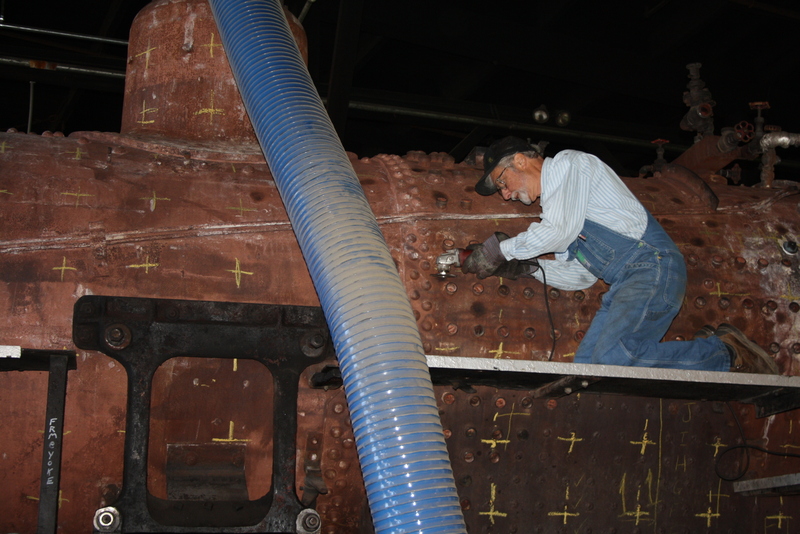 Volunteer Dan Maher uses a grinder to spot-clean mineral build-up from the outside of the boiler. Two small spots per grid were prepared for testing. 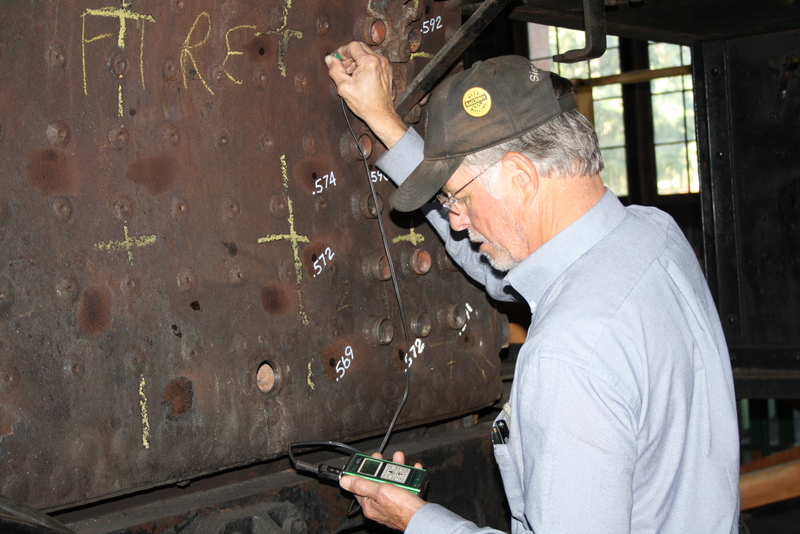 Project Volunteer David Ethier tests the boiler at each spot using an ultrasonic probe, and notes the thickness of each spot as he goes. The probe works similarly to the way that a dolphin uses echolocation–by sending and receiving a frequency and measuring the time it takes to return. The device is calibrated to measure steel in this case. You can see the numbers written directly where the measurements were taken. Here, much of the needed testing has been completed, as you can see by all of the numbers written in the grid. David completing the final samples, on the back head. He is standing where the engineer would sit, if the locomotive were reassembled. 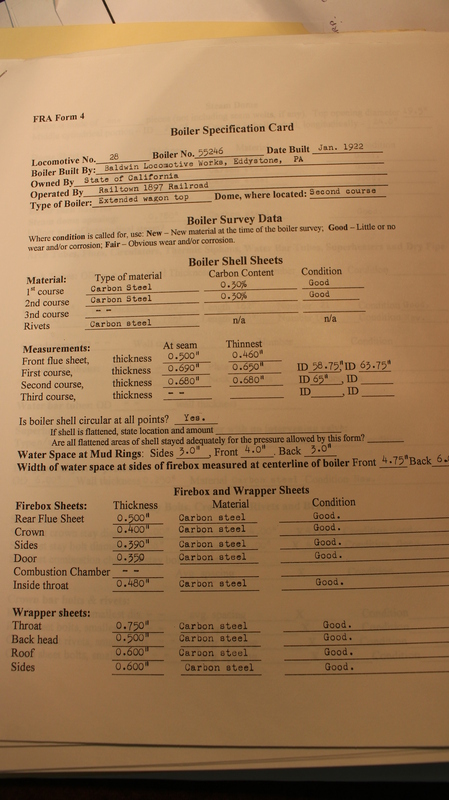 The Federal Railroad Administration’s “Form 4” is the document that must be submitted to document the condition of the boiler. This is the first page of the previous Form 4, completed in 2003. Measurements are listed on the form, in addition to the results of calculations. 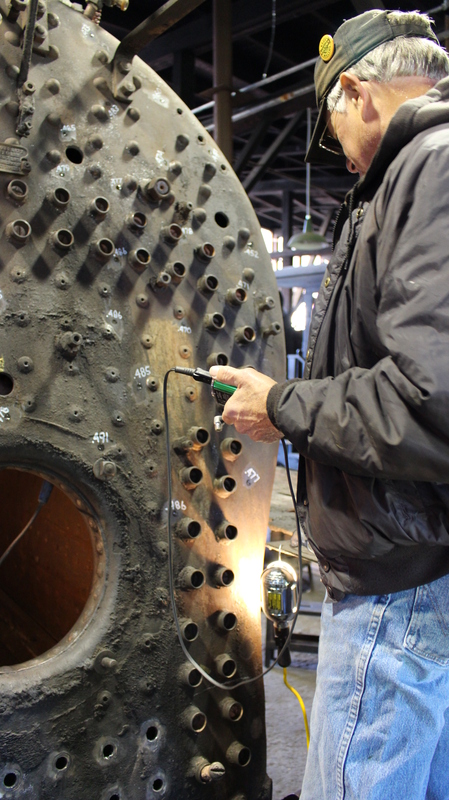 The Form 4 is submitted, as well as the Form 3 (annual inspection) and the Form 19 (Alteration and repair report for steam locomotive boilers). In addition to meeting FRA requirements, these forms become an important part of the artifact’s history, particularly the Form 19 which will help us document changes over time. This entry was posted in Sierra No 28 Repair Project, Sierra No. 28. Bookmark the permalink.